Want to plan the perfect holiday event this year? Click here to find out how with our ultimate holiday party planning checklist! Are you hosting a holiday party this year, but don’t know where to start? Planning a big event can be stressful and overwhelming, but it can be done successfully with a solid checklist. Start by listing the guests you plan to invite, which will determine the size of your party and how much prepping you’ll need to do. Next, decide on the food and drinks and select some fun activities to keep the guests entertained. Finally, pick your party outfit, pack the party favors, play holiday music and wait for your guests to arrive. Read below for the best party planning checklist that’ll help you organize a fun, memorable, and stress-free holiday event. The first item on your holiday party checklist is the number of guests you’ll invite. This will help you plan the food, space, music, and seating arrangements. Once you have a number, you can send out the official invitations. Bear in mind that not everyone you invite will attend, but it’s always better to plan for more people than for less and run out of food and drinks. Food and drinks are an essential item of your holiday party plan and can make or break the event. Though guests don’t come to a party just for the food, it’s still an important social component and a great icebreaker. If you’re not into cooking your own meals, it’s best to hire a catering service and serve the food buffet style. This way, the guests can move around the room with their plates and mingle with others. This theme will encourage people to break the ice discussing the theme and how they decided what to wear or bring to the party. 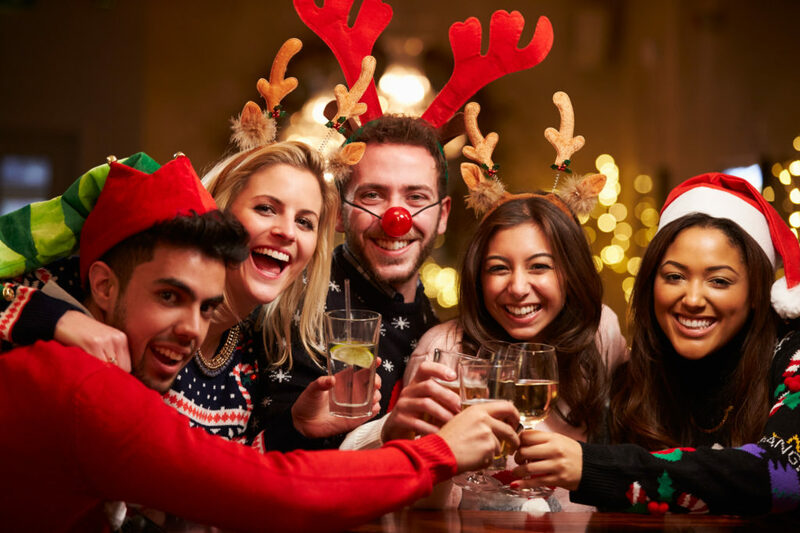 When planning your holiday party, consider adding some fun party activities for the guests to keep the party alive. These can be holiday games, choosing the ugliest Christmas sweater or exchanging gifts. Fun activities will help the guests mingle if they don’t know each other, and you’ll come off as the best host who cares about them. Don’t forget to include party favors in your party planning guide. Make sure you do your shopping early, at least one week before the event so you can have the goodie bags ready in time. It doesn’t have to be anything big, a few holiday stocking fillers will show your guests appreciation and make them feel special. If you can personalize the favors in some way, you’ll earn extra points for being the most thoughtful host. This is Your Ultimate Holiday Party Planning Checklist! Whether you’re planning a big party or just a small holiday gathering between close friends, this party planning checklist will help you get through it hassle-free. The party doesn’t have to be perfect and you don’t have to stress about insignificant details. All that matters is the celebration and having fun together. If you liked this article, visit our lifestyle blog to find more holiday cheer and party inspiration.